While it's true that many of the radios here only would qualify as "also-rans," there are a number of really fine radios in this gallery which should have been in the "Cool and Collected" gallery, if only I had dug them out of storage when I made the "Cool" gallery. These would be the radios found on first eleven pages in this gallery, from "Royal Scot" to "Fuji Weirdo Mystery Radio." The rest are worth looking at too, of course -- but mostly for historical context. Yeah -- can you hold on a minute while I climb up on top of my soap box? 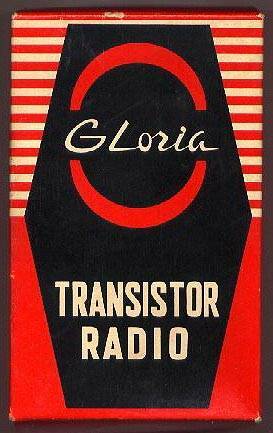 The history -- the "historical context" of transistor radios -- will grow dimmer and dimmer as the "collectible" short list continues to shorten.